We get this question a lot, there is much confusion and not a lot of solid info out there. The LS series of engines use two different style camshaft retainer plates. The earlier engines and most of the trucks use the typical plate with 4 non countersunk bolts. OLD STYLE PLATE – Flat plate with seal on back. Uses standard head bolts, came in the early motors. This plate and it’s hardware have been superseded in ALL engines by the new, countersunk style plate and bolts. With the introduction of GM’s new cam phaser setup, GM updated the retainer plate style that now uses an improved plate with countersunk bolts. 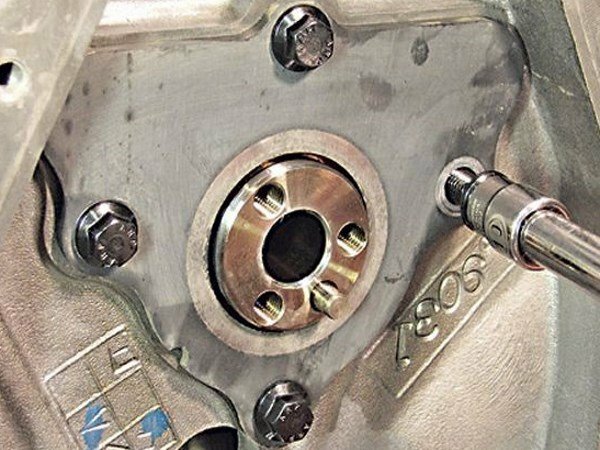 The new style plate with new countersunk bolts supersedes the old plate, and is a direct installation in the earlier engines which cam with the non-countersunk plates. Unfortunately, people either over torque or do not use the correct T40 torx bit while removing or installing the bolts. GM recommends these bolts be used only one time, and replaced each time they’re removed. Once stripped, people struggle to find the correct replacement bolt. There are various new and old part numbers for the same bolts, the correct part number for the new style countersunk bolt is GM 11561455, available here. If you wish to keep the early style non-countersunk plate and are looking for a hardware upgrade, you can use ARP 134-1002 also available here. 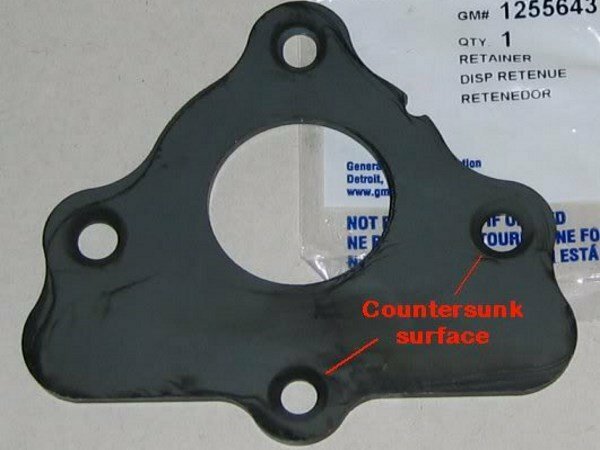 All retainers, new, old, and the different generations use the same molded, impregnated gasket on the back of the plate which seals the lifter oil gallery’s, there is no removable gasket to replace or install. The plates are cheap, if there is any question as to the condition of your plate, or during any cam swap/install you should replace this plate. After time, and mileage they begin to degrade and flatten. 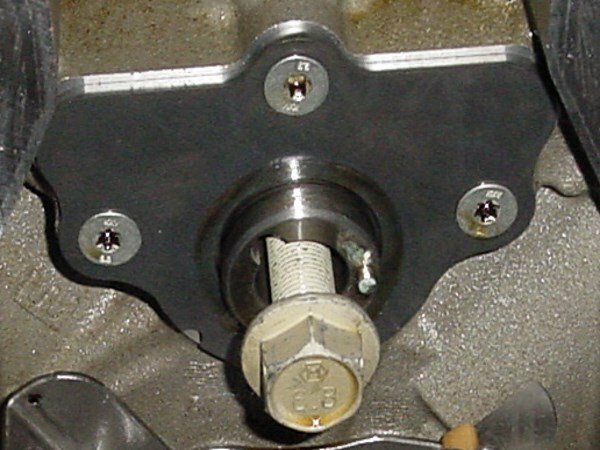 If they do not seal correctly, the motor will lose a considerable amount of oil pressure when reassembled. If there is a nick, damage, flat spot, anything, REPLACE IT. How these plates look installed. The old style non-countersunk plate has been discontinued by GM, they recommend all replacements be the new countersunk style.